After months of heated competition among some of the world’s best overclockers, a winner has finally been announced in the GO OC 2010. For those of you who have not been following, the GIGABYTE Open Overclocking Championship is a worldwide competition. Regional qualifiers were held throughout the world, the winners received an all-expense paid trip to Taipei, Taiwan, to compete in the finals. After winning the North America regional, our very own sno.lcn, traveled to the Far East for a chance to test his skills against overclockers from around the world. A total of 15 teams from 5 regional finals gathered at the Hua-Shan Creative Park (East 3 Hall) in Taipei, Taiwan to compete for the title of the GO OC 2010 World champion. 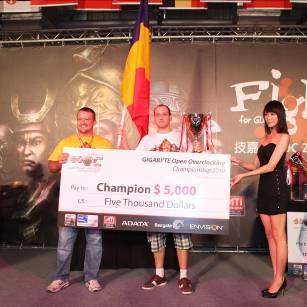 After 4 hours 50 minutes of serious competition, GIGABYTE is pleased to announce that Matose from Romania was crowned GO OC 2010 Worldwide Final champion. Matose was able to maintain his lead throughout most of the competition with 64 points including the top score for Pifast at 13.830 seconds. Second place was stephenyeong from Hong Kong with 52 points and third place went to speedtime.wing from China with 42 points. The contestants benched Super Pi, PiFast, MAXXMem Memory and wPrime 32m. The scores were very impressive. 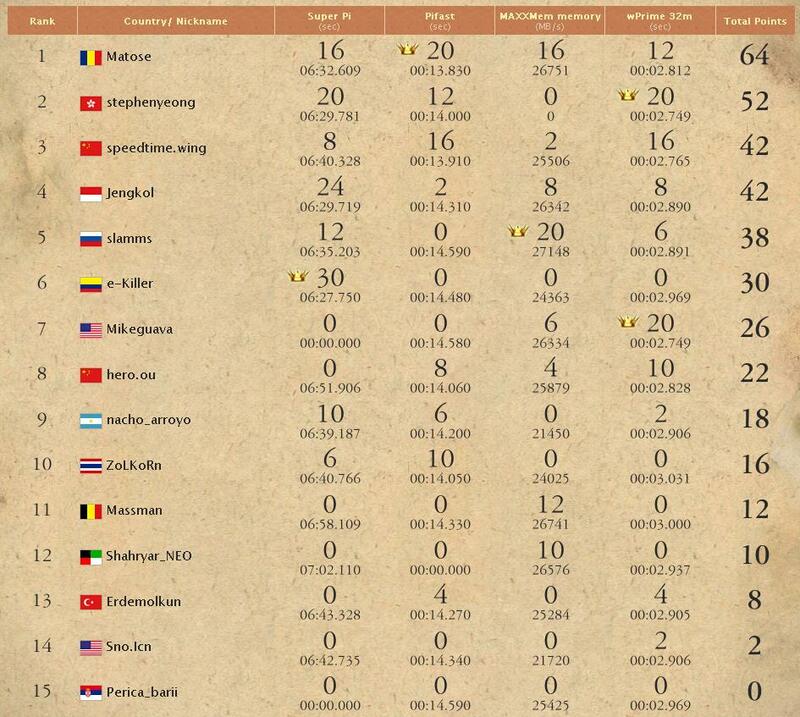 Though sno.lcn did not win the competition, being one of the top 15 overclockers in the world is a huge accomplishment. First, second and third place winners received cash prizes and a pile of new hardware, including GIGABYTE GA-X58A-UD9 motherboards, top of the line video cards and Seagate Momentus XT 500GB SSDs. Read the full press release at GIGABYTE.com. For more competition results and information, visit the GO OC 2010 website. Next Article Corsair Hydro Series H50: Is It High-End Air? I already mentioned it sno.lcn, but wanted to say thanks again for representing Overclockers at the competition, and congrats for making it to Taipei. Damn. Sorry for the bad luck, Im sure things will cooperate much better next time!!! 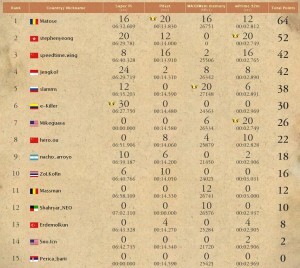 Congrats to sno.lcn and to all other participants... just making it there was an honor in itself. I'm especially happy for e.Killer; him being my compatriot and all.... so go Colombia!!! !